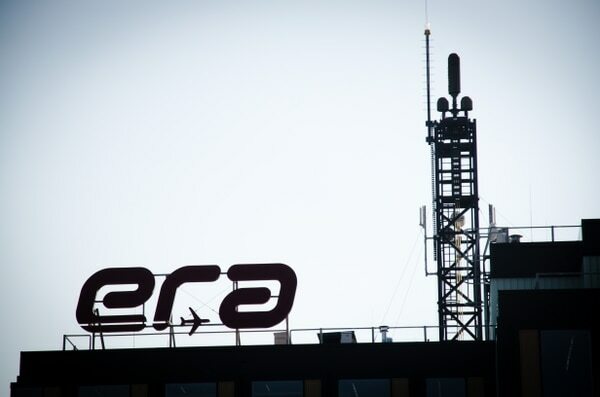 Today, Era is supplying at least 20 nations with passive miltiary surveillance sensors and it supplies the NATO alliance for its deployable air command and control system. “The countries around Russia, for example, are already equipped mostly with our technologies,” said Ondřej Chlost, Era’s commercial director. 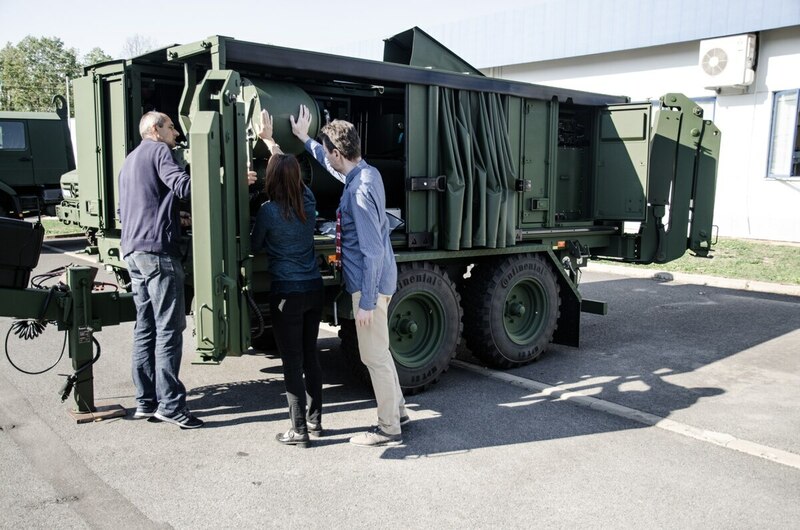 During a recent visit to the company’s new Pardubice headquarters, officials told C4ISRNET that there is now such significant demand for its fifth-generation passive sensor - known as VERA-NG – that the company can produce the technology without specific orders in place. VERA-NG works by detecting radiofrequency (RF) signals being emitted from aircraft or naval vessels, and unlike traditional sensors, such as radars, they do not emit any radio-frequecy itself. Over the years, traditional radar sensors within air defense networks have become far more vulnerable to countermeasures including electronic jamming and anti-radiation missiles. Chlost told C4ISRNET that active radars have a survivability rate of around 20 to 30 minutes in real combat, owing to advanced suppression of enemy air defense technologies. VERA-NG is designed to add another sensor layer to an air defence infrastructure, sniffing out RF sources across a significant bandwidth range and reducing the times an active surveillance radar needs to be switched on. The technology is so sensitive that the sensors - usually three remote stations and a central processing station - can detect, and pinpoint, signals to 400 kilometers and possibly beyond. These signals can be anything from radars, data links, as well as identification friend or foe (IFF) transponders - meaning even stealth aircraft are visible. This level of accuracy means it can directly interface and cue surface-to-air missiles, or cue an active radar to ensure it is only turned on for limited periods so as to not give away its position or electronic signature. If an adversary chooses to use RF jammers, as is a favored tactic by Russia, then the passive sensor will also be able to pinpoint the source. Because the technology is deemed sensitive, likely classified, most countries do not disclose they have acquired it and Era does not talk about customers, apart from its domestic customer, the Czech Army, and NATO. The technology is able to be “hidden in plain sight” usually on cell phone towers or atop high buildings, as well as be mast-mounted on forward-deployed military trucks. The latter will be the configuration utilised by the NATO alliance, which ordered the technology in 2014 as part of a multi-million dollar contract. A common question for Era is, what happens if there are no emissions from aircraft? Officials say it’s very rare that today’s networked aircraft or vessels will not have some kind of RF being beamed off the platform, especially as net-centric warfare expands within and between domains. Sweden is just one country that is looking to bolster its conventional warfare capabilities as a result of Russian aggression in recent years, especially in the air defence realm with a purchase of the US Patriot system also announced. Russia is understood to still possess some of its own passive sensor technology, mainly the “Ramona” second-generation ESM system acquired from Czechoslovakia during the Soviet era, although this is mainly obsolete now compared with the likes of VERA. “These systems are probably not even maintainable any more,” explained Chlost. As part of its passive sensor roadmap, Era has unveiled a new Multistatic Primary Tracking Radar - known as SICORRA (Silent Correlation Radar) - that receives ambient signals that bounce off an aircraft but, again, does not emit itself. The signals received do not have to be from the aircraft, like VERA, but can be reflected FM signals from sources such as cellphone or television towers. The German Air Force will test similar technology from domestic manufacturer Hensoldt. C4ISRNET reported last month that the Air Force would test the TwInvis system in southern Germany later this month.